When a CFI and a student fly together and one of them records the flight, it will appear automagically in the flight list of both. Same for any pilot and co-pilots flying together. Any user can invite another user to be his or her buddy. A pilot can have any number of buddies, and can share each of his or her flights with any of the buddies. It is possible to create groups, and define sharing policy within the group. For example, a pilot of a Civil Air Patrol squadron can share a flight with the entire CAP group. You can display only a subset of the flights, e.g., only flights shared with you, only flights flown out of a given airport, or only the flights with a specific pilot. To start using CloudAhoy 3.0-Beta all you will need to do is to click a button, and if for any reason you will want to go back to using CloudAhoy 2.x there is a button that will switch you back. 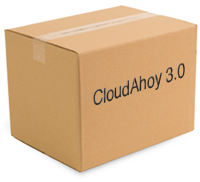 We hope to see many of you on CloudAhoy 3.0-Beta and we are looking forward for your feedback. Stay tune for 3.0-beta arrival early next week!